Full Colour Printed School Banners: We print our outdoor school banners using the latest full colour imaging technology onto a Premium 500gsm PVC banner media. Ideal for all exterior locations we use fade resistant inks which are durable, totally waterproof and scratch resistant. The PVC banner material we use is fire resistant to M1/B1. 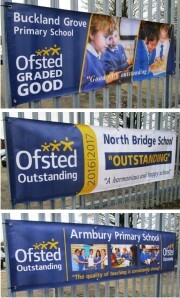 Our outdoor school banners come with reinforced folded hems as standard and are finished with eyelets around the edges. 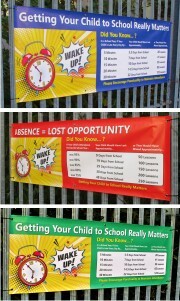 We can turn you ideas in bright, colourful school banners for all your exterior locations. 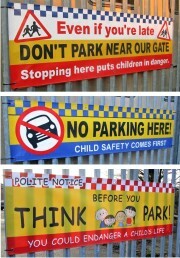 We now have a range of external PVC banners designed for use at your school entrance which are designed to make drivers think about child safety and to help ease any unauthorized parking problems that you make have. 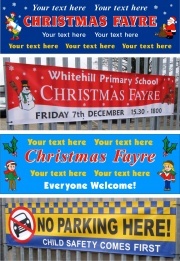 We also offer stylish roll up banners for internal use using scratch and scuff resistant inks. We offer a Free No Obligation design service where we supply you a colour proof so that you can see what your new school banner will look like before you place your order. 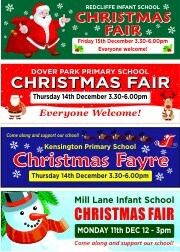 Our School Banners are now printed on a new Premium 500gsm Banner Material !